Ready to drive away in your dream car? This 2016 Honda CR-V is in amazing condition! This CR-V comes with a leather interior, roof racks, heated seats, cargo cover & cargo tray! This Honda CR-V is incredibly loaded with a tonne of features that you'll love. The EX-L trim provides everything from leather interior, with a leather wrapped steering wheel, key fob with proximity entry & push button start, sun roof, econ driving mode, wiper de-icer, cargo cover, steering wheel mounted controls, heated seats, Tire Pressure Monitor System, two USB ports plus HDMI, comes with roof rack, second row that folds flat for ample space for anything, dual climate control. 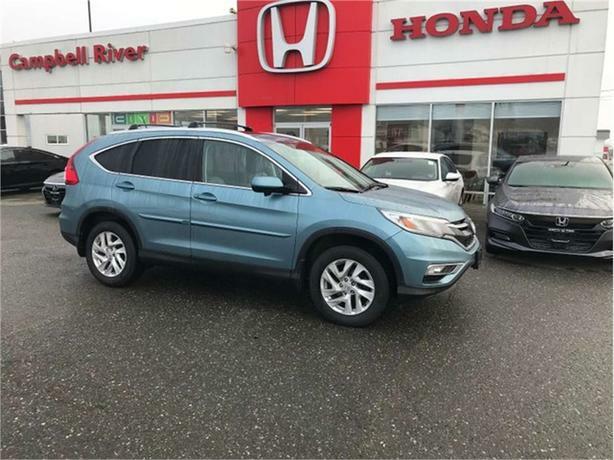 This CR-V has amazing financing available! Send us information on your current vehicle and we will provide you with a free no obligation appraisal!